← Homes selling quickly, time on market down! A week prior to closing talk to all parties representing you, don’t be afraid of bothering them! Ask if they have everything needed for closing day. Assumptions are huge speed bumps. Directions to your title agency can usually be found on their website or by calling the office who will be conducting your closing. 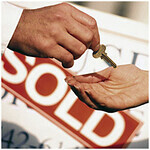 A closing agent from the office will contact you to verify the time and date of your closing. They can also provide you directions and answer any questions at that time. A sale closing generally takes 30 to 60 minutes depending on the type of closing. It is important to be certain that all contingencies to the sales contract have been met and a walk thru has been scheduled. If you are selling property and are married, your spouse may have certain rights. To acknowledge or waive these rights, your spouse may need to sign certain documents. If your spouse is not planning on attending the closing, please let us know ahead of time. Everyone who signs documents must have identification. A driver’s license or a passport is the most acceptable. No personal or money market funds can be accepted. Florida Law requires we have actual funds at the closing in order to disperse funds. As a Buyer, you will probably need to bring funds to the closing. If so, make a cashier’s check payable to the Title Company, NO personal funds are accepted for closings. Any differences (overages) in amount will be collected are returned at the closing. A closing agent from the title company office will contact you to review closing numbers. Almost every Buyer needs to provide proof of insurance and a paid receipt prior to closing. Check with your lender and insurance agent regarding the specifics of the policy. In most cases the policy must cover the amount of the mortgage and also contain a mortgagee’s clause. If you are purchasing a condominium, verify that the association has arranged to provide proof of insurance (this is also a good time to check on any association fees that you will need to pay at the closing). Have questions or concerns about your closing? Posted on September 7, 2012, in Title and tagged Buy a Home, Buyer, Cashier's Check, Closing, Closing Agent, Condo Association, Final Walk-Thru, Florida Law, Fort Myers, Homeowners Association, Homeowners Insurance, Jennifer Ferri, Money Market, Picture Identification, Property Guiding, SWFL Real Estate, Title Agency, Title Junction, Title Work. Bookmark the permalink. Leave a comment.